This Privacy Notice is designed to help you understand how and why we use your information if you are Creditor (Supplier or Contractor) or Debtor of Avon Fire Authority (AFA), who is the Data Controller. A Supplier is an organisation or an individual that supplies goods to AFA under a fixed term contract or a one off purchase, whereas a Contractor is an organisation or an individual (including a consultant) that performs services or works (such as building/maintenance works) for AFA either under a fixed term contract or a one off purchase. This also includes bespoke fixed term contracts as well as goods, services and works procured under the AFA Standard Terms and Conditions for Goods, Works and Services (a copy of which is available on our website https://www.avonfire.gov.uk/information-for-suppliers ), framework agreements or joint procurement agreements. Suppliers and Contractors (including consultants) are typically creditors who we owe money to, which we typically pay on receipt of an invoice, usually by BACS, or using a procurement/credit card. 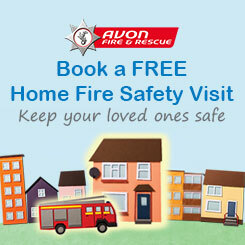 Debtors are people or organisations who owe money to Avon Fire Authority. This could be someone that we have provided a service to. If we are not supplied with the information set out above, we may not be able to make payments to you. The above will form part of the terms and conditions of the contract to supply, and in the event that you are unable to provide the information required, we may not be able to award and maintain the contract with you. The personal information that we require will be attributed to the specific terms of the contract in question. To meet the legal requirements of Section 112 of the Local Government Finance Act 1988, which falls under Section 6 (1) (c) of the General Data Protection Legislation (GDPR). To enable the performance of a contract or to take steps to enter into a contract whereby we or you have agreed to pay for goods or services, that falls under the Section 6 (1) (b) of the GDPR. Site security is a legitimate interest pursued by us as the Data Controller, except where such interests are overridden by the interests, rights and freedoms of the data subject, which falls under Section 6(1) (f) of the GDPR. In order to defend ourselves in the event of a legal claim or dispute, where there is a legitimate interest pursued by us as the Data Controller, except where such interests are overridden by the interests, rights and freedoms of the data subject, which falls under Section 6(1) (f) of the GDPR. In the event that we are required to collect and process special categories of data (sensitive personal data), this will only be done if a suitable lawful condition can be met under the GDPR and the Data Protection Act 2018. Any personal information collected as part of the order/payment process, would be either provided by the organisation/individual during the tender process, awarding of the Contract, or general correspondence for providing goods and services to us. Information held on paper, scanned and other electronic invoices. Site CCTV footage, which is maintained as per our Service’s CCTV Policy. Any other third party appointed by the AFA to facilitate in the contract process, such as consultants, insurance companies and legal advisors. We publish procurement information on our website under the Local Government Transparency Code https://www.avonfire.gov.uk/transparency-code , any personal data is considered and redacted as necessary. Names of sole traders and consultants will be published if they are used as a trading name. The same will also apply to requests for information published under the Freedom of Information Act 2000. Please refer to our main Privacy Notice information on our website https://www.avonfire.gov.uk/privacy-and-cookies regarding your data protection rights, which includes details for our Data Protection Officer and how you can raise concerns. Information about the GDPR and Data Protection Act can be obtained from the ICO’s website www.ico.org.uk and how AFA (operationally known as Avon Fire & Rescue Service), complies with the data protection legislation, please refer to our website pages https://www.avonfire.gov.uk/guide-to-published-information/data-protection-act. This Privacy Notice will be regularly reviewed and updated. It was last updated on 08.08.2018.